Our Eastland Glass Pillar Candle Holders make an attractive platform base for our Pillar Candles. These Pillar Candle Holders are made of thick crystal clear glass. Not only do these work for a pleasing look but they help protect the surface where you will place your pillar candles. Use in mass down a long table or by themselves in your own home. These pillar candle holders are perfect for home spaces, events, churches, restaurants, and weddings! Pair with our huge selection of Richland Pillar Candles to finish your look. Economical, easy to use, and a gorgeous way to show off your pillar candles! 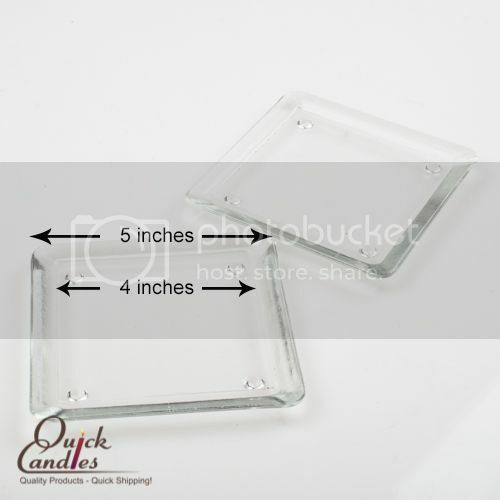 This Clear Glass Pillar Candle Holder is designed for use with 3" pillars of any height. Dimensions: Outside Plate Width=5"x5", Inside Plate Width=4"x4"